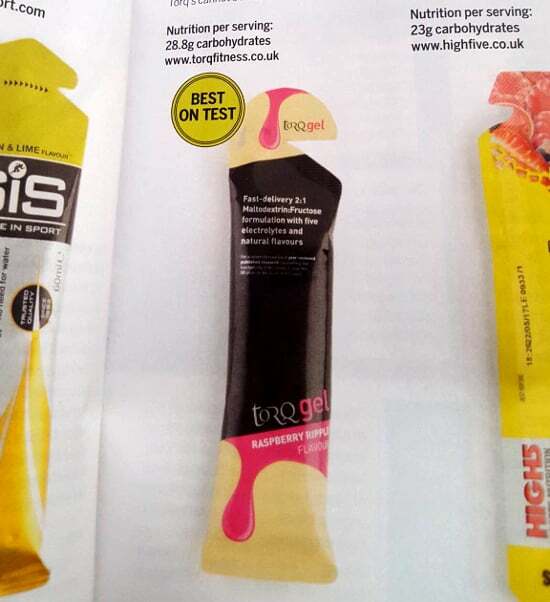 Cycling Weekly also recommended our Raspberry Ripple and Rhubarb & Custard flavours. If you would like further information about TORQ Gel, click HERE. We also strongly suggest that you take the time to read about the TORQ Fuelling System, which explains how TORQ Gels should be used in conjunction with TORQ’s other fuelling products. Click HERE for further information.